Get ready for a new view of the Civic’s tail end! The 2017 Civic Hatchback design is making news around the globe. Thanks to some innovative style changes and upgraded aerodynamics, this model is faster, more efficient, and better looking than ever before. In fact, at first glance, you won’t be able to take your eyes off the new 2017 Honda Civic Hatchback. According to Digital Trends, the hatch design is European-inspired. That means it comes with a sloping five-door design—which includes a liftgate instead of a standard trunk. The interior is actually roomier than a sedan, capable of seating five very comfortably. Best of all, the sloping contours and aggressive exterior make a bold statement. 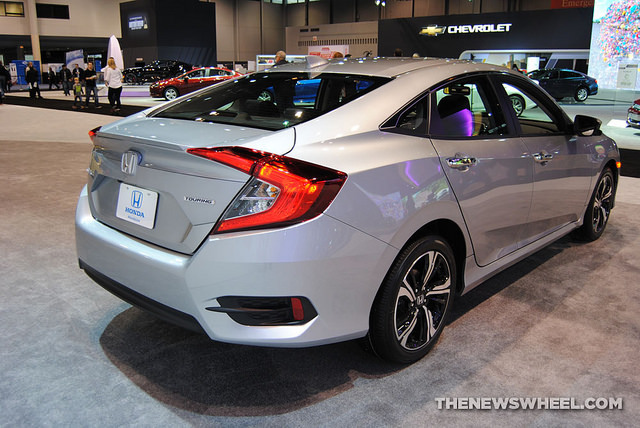 What’s so special about the new Civic exterior? This hatch model comes with an athletic stance and dark alloy wheels. An integrated spoiler and sweeping silhouette increase aerodynamics, while new air-intake vents add sporty appeal. The centered dual exhaust system also makes a statement, a feature that you rarely find on a hatchback. The Civic Hatchback will be released sometime soon, and its scheduled to hit the market before the much-anticipated Civic Type-R special performance model. We can’t wait to see both these Civics in action. Hardin County Honda will have this new 2017 Civic Hatchback in stock soon! Keep an eye out! The new 2017 Honda Ridgeline is setting new standards in the US mid-size pickup market. This truck model is designed to provide the perfect balance of efficiency and performance, offering utility and versatility in one sporty package. With some great new features, the 2017 Ridgeline design is bound to impress. According to Honda, the 2017 Ridgeline features will include the world’s first available Truck Bed Audio system, which also comes with a 400-watt outlet, a Honda-exclusive In-Bed Trunk®, and a dual-action tailgate system. Making this model ideal for work or tailgating, these features are just the tip of the iceberg. 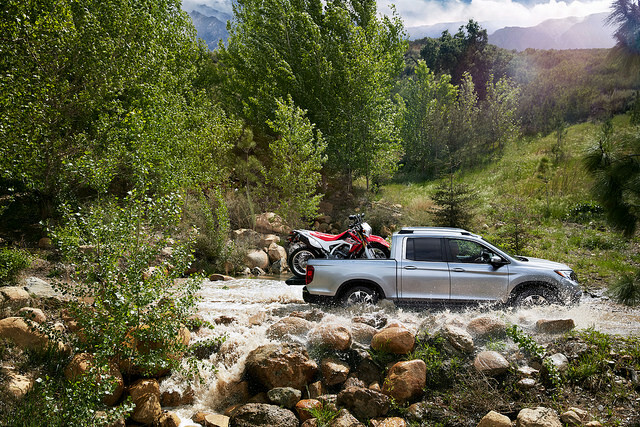 Other Honda Ridgeline features include a more powerful V6 engine with an available torque vectoring all-wheel drive system to improve handling and off-road performance. Best-in-class fuel economy is standard, and this pickup also targets the highest collision safety ratings with an available Honda Sensing™ suite of driver assist technologies. If you want a truly advanced pickup, check out the new Ridgeline. You’re in luck! Hardin County Honda has the new 2017 Honda Ridgeline in stock! View our inventory here.